FOXBOROUGH, Mass. 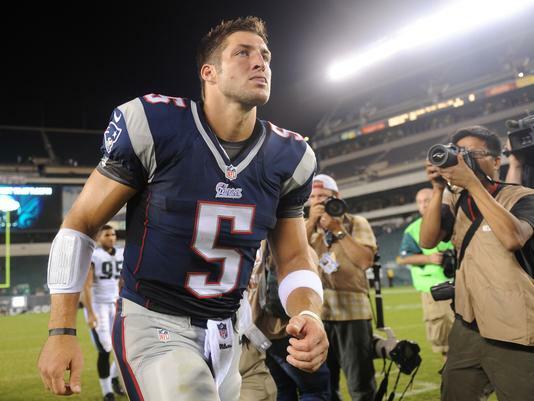 — Tim Tebow knows his debut with the New England Patriots was not the kind of performance that ensures a spot on the final roster. It was, however, valuable experience and more playing time than the Patriots planned to give their third-string quarterback during a 31-22 win over Philadelphia. Tebow spoke after practice Tuesday and acknowledged he’s still a newcomer when it comes to learning the Patriots’ vast offensive schemes. He took over late in the second quarter and finished the game completing four of 12 passes for 55 yards. “Some things were good, some things you got to work on,” Tebow said.